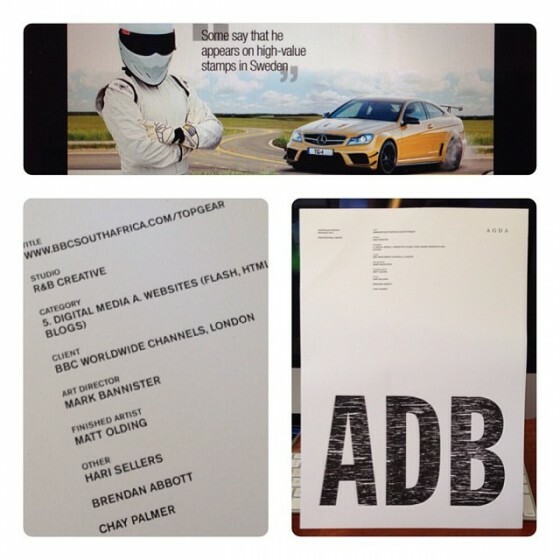 One year on, the Top Gear series 18 micro site is recognised in an award from AGDA Australia! I’m fortunate enough to have my name immortalised in ink on the ‘Australian Design Biennale 2012 Professional Award’ presented to R&B Creative. Rather Chuffed. You can view more on the project over here.